With the CSA continuously giving us loads of bagged lettuce each week, we've started having so much left over that I've had to toss some wilted leaves into the compost. That means that not only have we wasted perfectly good food, but we also haven't been eating nearly as many greens as we probably should. I'll be the first to say that I'm not that big of a salad person, but sometimes the right combination of toppings and the perfect dressing will make a salad so tempting that I can't help but say, "yes!" I named this the Fancy-Pants Salad not because it really is that fancy, but because you can serve it to guests and they will think you have put in hours of slaving just for them. And unless you feel like making the avocado oil by hand, you should be able to get by with just spending about a half hour max (from start to finish, and including cooking time) making this main-dish meal. I've listed my suggestions for toppings, but it's really due to what we had on hand. Besides the list of ingredients needed in the dressing, I say go for it -- and chop up whatever you like to add to the salad. Heat oven to 400'. Cut top and bottom off garlic bulb and place it on top of a piece of aluminum foil. Drizzle olive oil evening over (and into!) the bulb, and wrap it up tightly in the foil. Bake it for about 30 minutes. Meanwhile, heat oil in a stovetop pan to medium-high heat. Cut tofu into cubes and toss them into pan. Sprinkle salt and pepper and stir. Let tofu sit for a few minutes while you make the dressing. 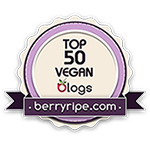 Pour avocado oil, berry jam, and agave into a food processor. Process for at least a minute, tasting along the way to make sure the oil has emulsified with the other ingredients. Set it aside (you have to wait for the garlic to finish roasting before you can complete the dressing). Stir the tofu. It should be starting to get crispy, and will need a little more constant attention now. In between stirs, rip the lettuce leaves into bowls. Dice a carrot and evenly distribute it onto the bowls. Stir the tofu. 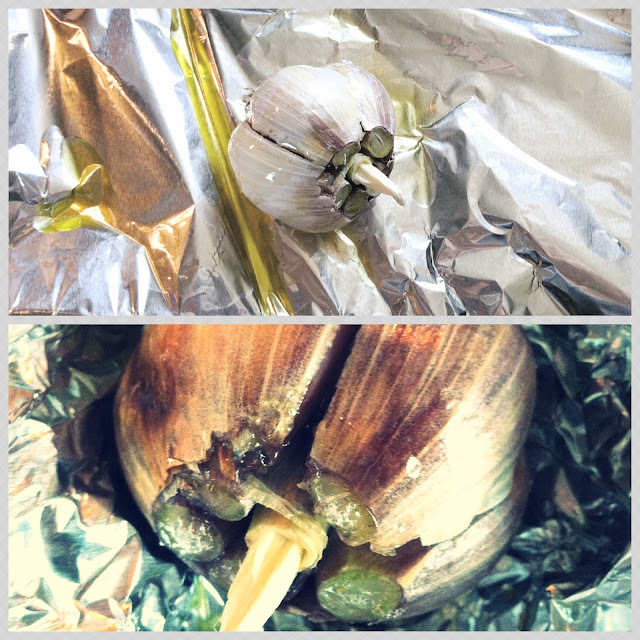 If a half hour or so has passed, turn off the oven, carefully unwrap the garlic, and remove four cloves. Remove the peel add the cloves to the dressing in the processor. Process until the garlic is completely mixed in with the sauce, and the lumps are gone. The tofu should also be ready by now; remove it from the stove and evenly distribute it on top of the lettuce. Pour the dressing over each salad and enjoy! I've shared this on Slightly Indulgent Tuesdays.